Produktinformationen "Corksport BeCuse Injector Seals Mazda 3 MPS & 6 MPS"
Running factory power levels or seeking high HP numbers? 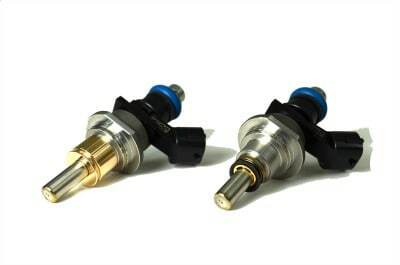 Your fuel injectors work under extreme compression and combustion pressure. Don't let wasted power escape around that OEM excuse for a seal. Seriously, have you seen an OEM injector seal? Throw it out now. Get the Corkport seal designed to deliver every horsepower to the ground where it belongs! Our new, improved injector seals will keep you running longer and surpassing others. They are an extremely cost effective improvement, designed for 2006-2013 MZR DISI engines available in the Mazdaspeed 3 and Mazdaspeed 6. 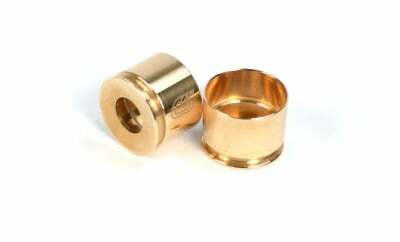 Material: Reliable beryllium copper cups allow proper crush sealing. 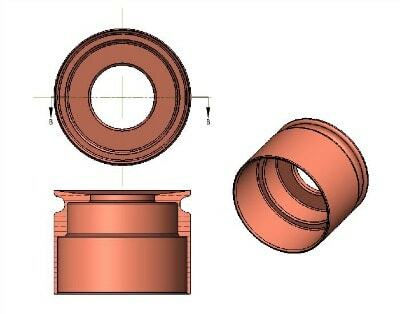 Superior design: The groove and flared lip design allows the seal to crush into the cylinder head, sealing in the OEM location and against the side for superior sealing performance. No studs are necessary because the clamping force does not need to be increased above factory specifications. Made in the USA: Designed, engineered, and produced in North America. Community Collaboration: These are the famous Tokay BeCuse designed V2 seals. CorkSport service and support: Includes a limited warranty, full color installation instructions, and all necessary hardware. We provide knowledgeable telephone support at 360-260-2675. Warranty Details: CorkSport offers a limited warranty on the injector seals to be free from manufacturing defects for 90 days. The seals are designed to be installed once and CorkSport will not guarantee removal and a subsequent reinstallation. Installation errors of the injector seals are not covered. Please note for warranty considerations the seals will need to be returned to CorkSport for inspection before any replacement parts will be shipped out if applicable. It will take you between 4-6 hours to install your injector seals with hand tools. Follow our step-by-step installation instructions to increase your power. Weiterführende Links zu "Corksport BeCuse Injector Seals Mazda 3 MPS & 6 MPS"
Kundenbewertungen für "Corksport BeCuse Injector Seals Mazda 3 MPS & 6 MPS"